Because of its pocket size, quick storage and portability, USB drive has been widely being used. When we enjoy the convenience, it comes up with the risks of lost or stolen. How shall we protect our information from being divulged? 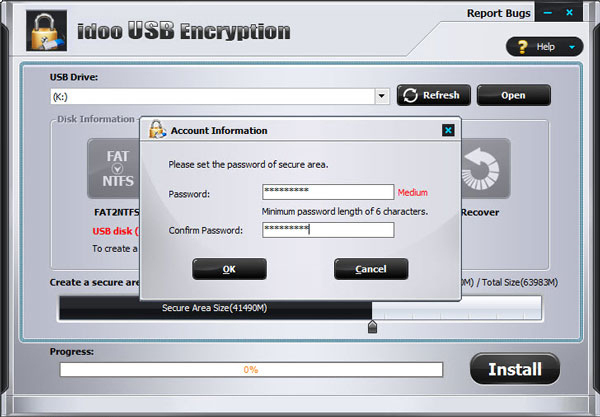 idoo USB Encryption is a professional software which can help us to prevent the leakage of private information or business confidential documents etc. 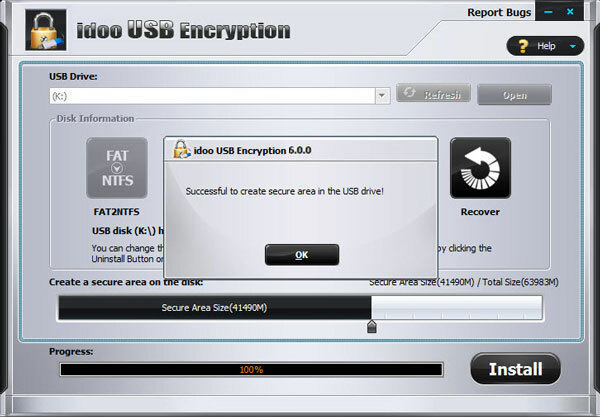 idoo USB Encryption is easy to operate, with high-speed encrypting and powerful functions. Without the correct password, the encrypted USB drive can be opened or read in no circumstance, and there would never be worries behind. 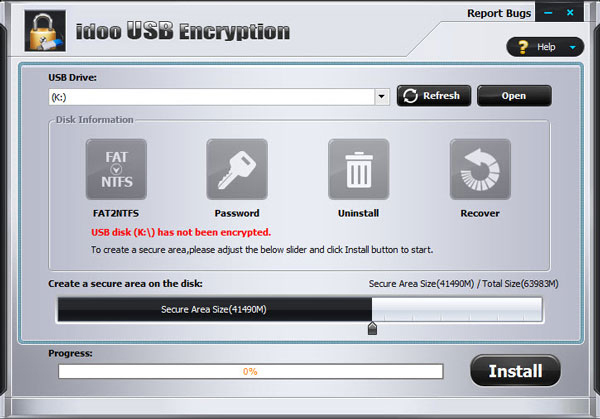 idoo USB Encryption can create safe area and public area in one drive concurrently for your convenience. The safe area could be only opened by your password, while the public area would not need any. Without installing any extra program on a computer, you can open and read the data on the USB drive just by entering the correct password. 1. Insert the USB drive that you want to password protect into the USB port of your computer. 2. Choose the drive and set the size of encryption area will be created, and click "Install" to input password. 3. 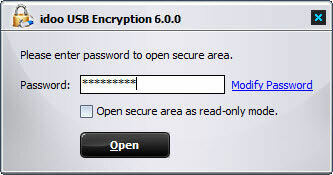 Click "Yes" button to start creating encryption area to protect USB flash drive. 4. Click "Ok" button to successful to create protected area in the USB drive. 5. Double-click the icon, and input the password (which you set in Step 2). Click "Open".